From croissants at Starbucks to the kickass (pardon our French) Statue of Liberty, French culture has influenced the entire world. 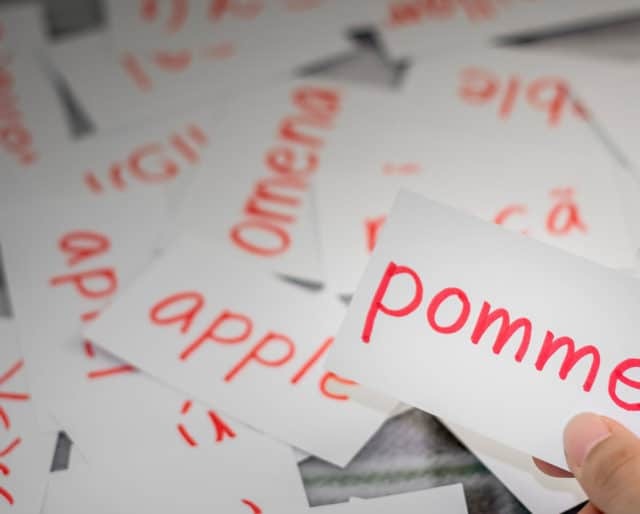 In fact, approximately 45% of English words have a French origin—and as one of the world’s most popular languages (spoken in 29 countries), that’s no surprise. So on March 20, say “bonjour” to French Language Day and celebrate the romantic language of French. Cardinal Richelieu founds the Académie française, an official body whose purpose is to preserve and purify the French language. Louis Maigret publishes the Tretté de la Grammaire française – the first grammatical description of French. Francis I of France makes French the official language of France. Aosta Valley becomes the first government authority to adopt Modern French as its official language – three years earlier than France. Although the French language was born out of what is known as Vulgar Latin in the 5th century AD, the first evidence of Old French is Le Serment de Strasbourg, an oath declaring an alliance between the Holy Roman Emperor Charles II and Louis the German. Immerse yourself in French culture by learning the language. Check out services such as Rosetta Stone, apps like Duolingo, or even YouTube videos. Bring awareness to this day by posting on social media with the hashtag #FrenchLanguageDay. Snap a pic of yourself sporting a t-shirt with a French word, a selfie of you learning the language, or a screenshot of your social media settings changed from English to French. Expose your coworkers, friends, and family to the French language via French songs and/or French movies such as, Amelie, Jules and Jim, The 400 Blows, Édith Piaf, MC Solaar and Christine and the Queens—just to name a few. This event was established in 2010 by the United Nations’ Department of Public Information. The UN’s goal was to honor multilingualism, cultural diversity, and supports equal usage of its six official languages. It’s easy to forget in our everyday lives that this world is filled with rich, beautiful, diverse cultures that are different from ours. French Language Day is an opportunity to acknowledge, experience, appreciate, and learn the beauty of the French language—the only other language other than English that is taught in every country in the world.